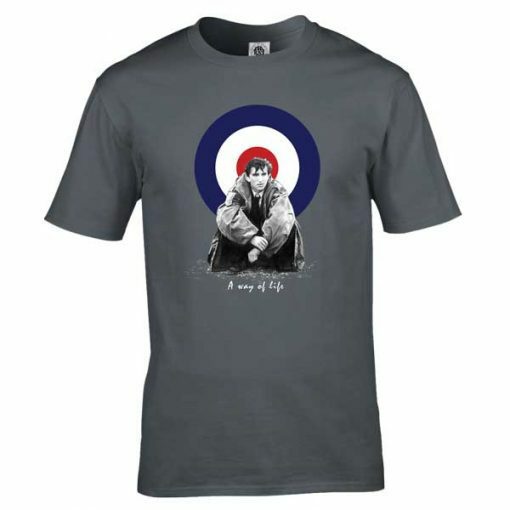 Quadrophenia T-Shirt featuring Jimmy, one of the main characters in the Quadrophenia film. 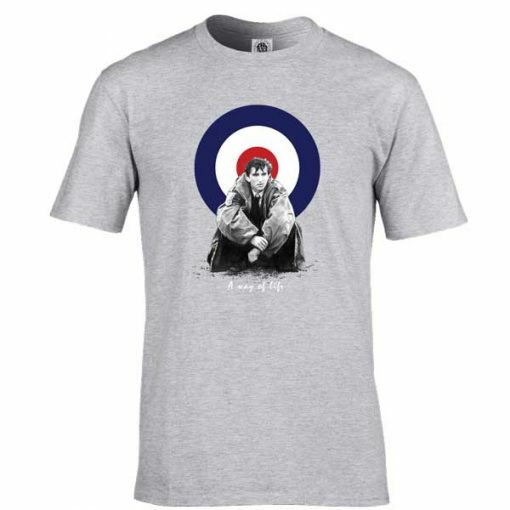 This Exclusive Jimmy Quadrophenia t-shirt is made using original artwork by Mark Reynolds, available in a wide range of colours and sizes and is perfect for giving your Mod look a cheeky update. It is exclusive to Mr Art and can only be purchased here. 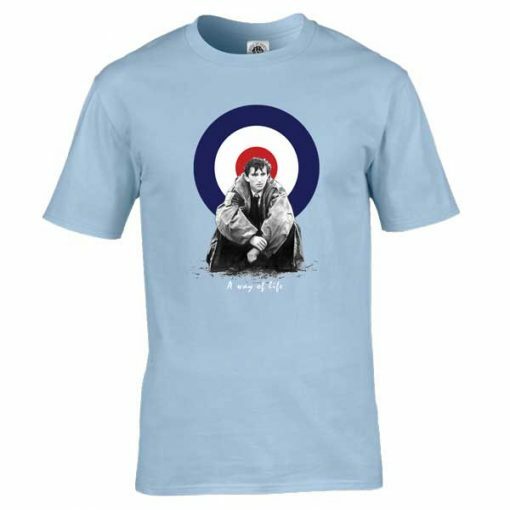 Quadrophenia is the 6th studio album by The Who. 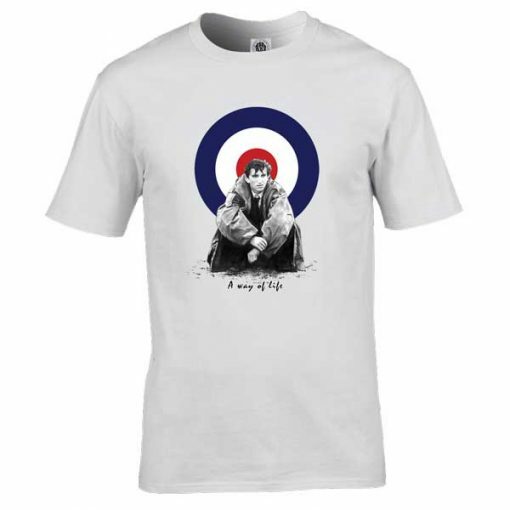 The film which is set in London and Brighton in 1965 involves social, musical and psychological aspects from the Mod Era.